Chernobyl Children International funds a Cardiac Programme in partnership with the Novick Cardiac Allliance that sends volunteer cardiac surgeons, nurses and specialists on missions to Ukraine and Belarus to undertake life-saving surgeries. In March 2008, in collaboration with the Novick Cardiac Alliance, CCI sent the first cardiac team to Kharkiv, Ukraine. Volunteers were shocked by the hospital’s surgical equipment, most of which dated from World War II and was in poor repair and general disarray. One of CCI’s volunteers, a biomedical engineer named David, recalls a particularly terrifying experience during that first cardiac mission. Anya, a two-year-old girl who suffered from a serious condition known as “Chernobyl Heart,” was undergoing a life-saving operation. David watched in horror as Anya lay on a dilapidated bypass machine, completely dependent on rusty pumps to keep her alive and to keep her blood circulating. Her tiny heart was in the hands of the surgeon when suddenly, in the middle of the operation, the pump failed. David had less than 120 seconds to change the tubing before Anya would have suffered irreversible brain damage or even death. Her life was literally held in the balance! With the young girl’s life literally in his hands, David used a level head and his specialised skills to save her. She survived the operation, and today she is living life like any other healthy five-year-old girl. Through the support of Chernobyl Children International, things have changed greatly in Kharkiv since David’s first, harrowing experience. The hospital is now well stocked with properly functioning lifesaving equipment and more and more children’s lives can be saved. 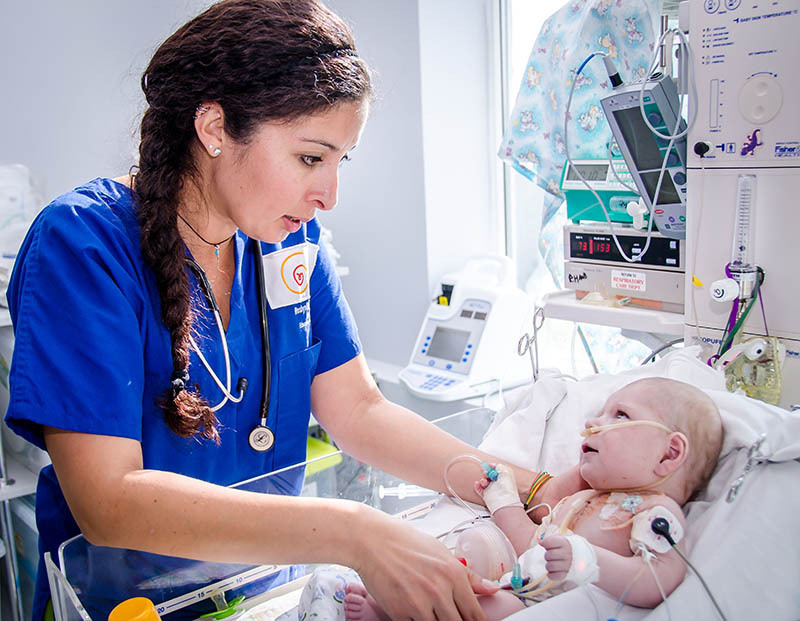 About eight times a year, volunteer teams travel to Ukraine and Belarus to perform surgeries on children who suffer from Chernobyl-related cardiac birth defects, and to train local physicians. To date, 3500 children’s lives have been saved by CCI’s Cardiac Programme and the Novick Cardiac Alliance.